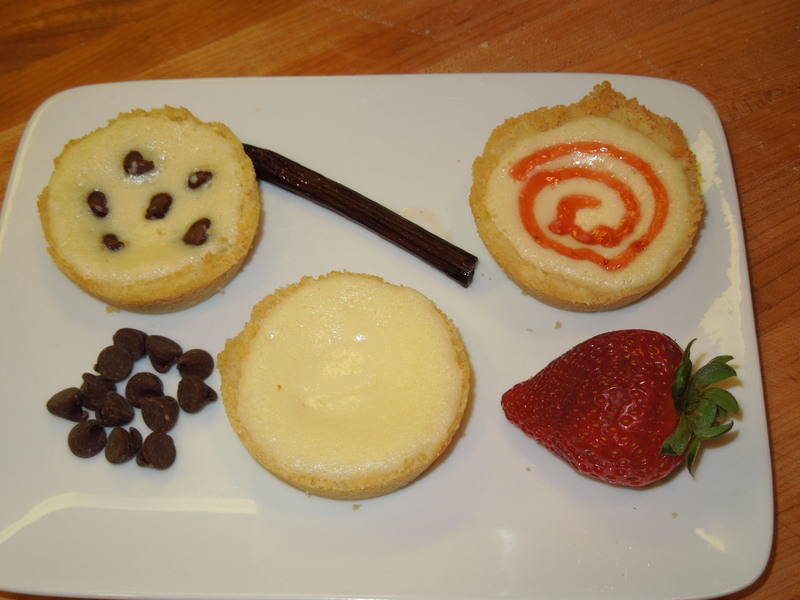 You had me at “gooey”…. For those of you who didn’t catch rantingchef’s posting yesterday, “St. Louis Gooey Butter Cakes”, it was awesome. Sure, “gooey” is a good word but if you add “butter” and “cake”, who can resist!?! I had to try this recipe. If you didn’t catch it, go to his blog at www.rantingchef.com and check it out! I was a little short on ingredients today so I had to cut the recipe in half but that’s okay since I would have eaten all 24! This is a great recipe. It’s promise of “gooey” and “butter” definitely deliver. It’s also versitile. My most awesome sous chef and food taster suggested that she would really like some chocolate. Sure, why not, we’re experimenting. Then I thought ‘why not some fresh strawberry jam?’ So we had a trifecta. Most of them plain, some with a few chocolate chips and then a thrid with some strawberry jam swirl. I felt that I put too much crust in the pans (I was eyeballing it), but even the extra crust was good. You could practically do anything with this recipe – chocolate, jam, fresh berries, caramel, nutella, marmalade – the list could go on and on! 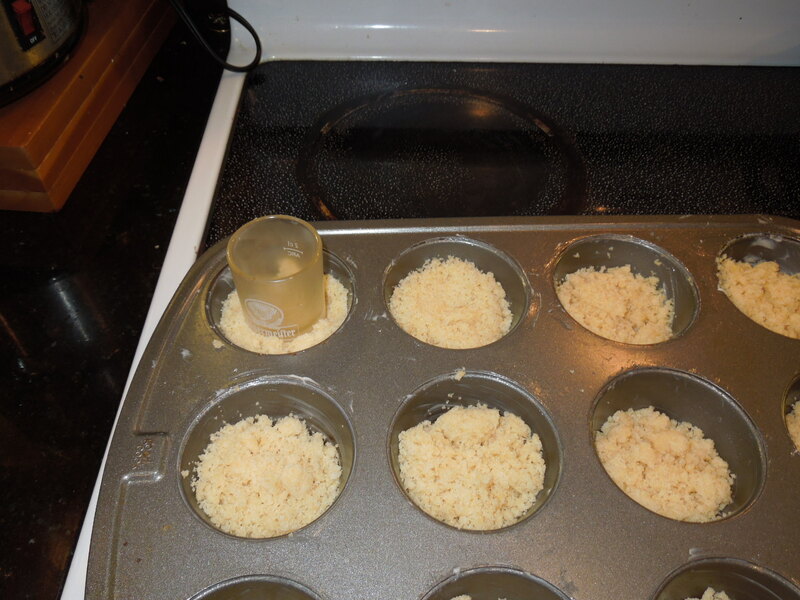 Once I put the crust in the pan, I used a shot glass to tamp it down, then used my thumbs to press the remaining untamped crust up the sides. I used a piping bag to fill in the crusts since I’m a little more steady with piping than with a spoon. 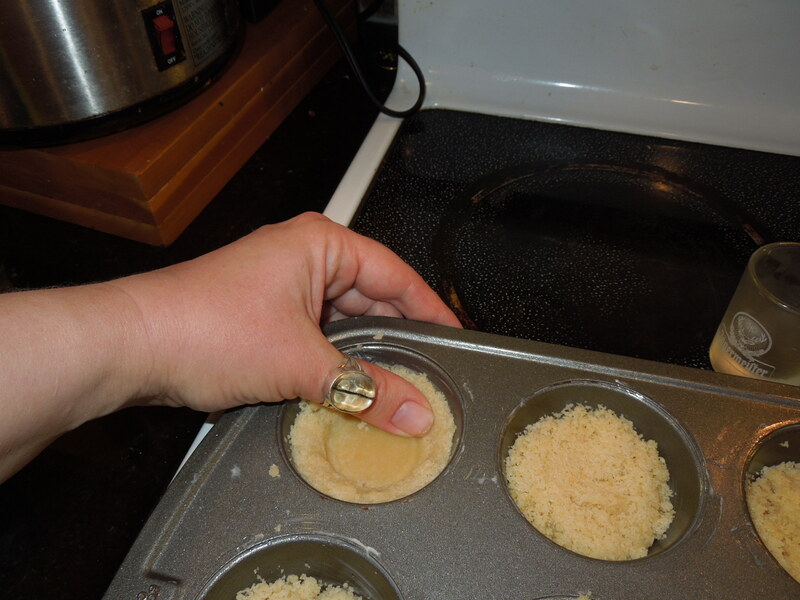 If you use this method, however, cut the piping bag so the hole is small since the filling isn’t as fluffy as frosting and will run out of a big hole. So decadent! Thanks, chef! I will definitely make these again!